Guest rooms at Le Marquis Eiffel are equipped with a flat-screen TV with satellite channels. Room service is available. Free toiletries and a hairdryer are included in the bathrooms, while some rooms also provide bathrobes. 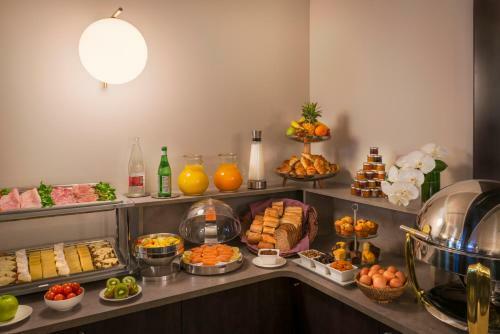 In the morning, guests can choose from a buffet or a continental breakfast served on the outdoor terrace. 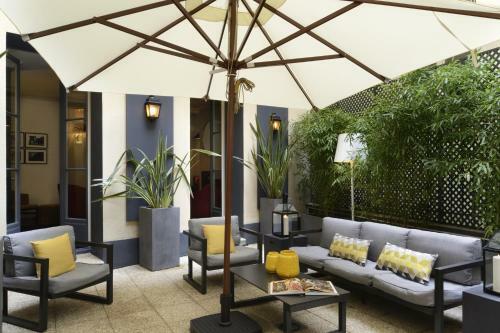 Hotel Le Marquis Eiffel also features a lounge bar and a library. Free Wi-Fi access is available in the entire hotel. Reception is open 24 hours at Le Marquis Eiffel, and there is a concierge service that can make reservations for restaurants and theatre shows upon request. The nearest Metro stop is Dupleix which provides direct access to the Arc de Triomphe, Effel Tower and Trocadero. Please note that for twin beds are available according to availability only in the Classic Room. Please note that the credit card used to make the reservation and the prepayment will be requested on arrival. If guests are unable to provide the credit card, payment will need to be made upon arrival for the total amount of the stay. When booking 4 rooms or more different policies may apply. Guests are required to show a photo identification and credit card upon check-in. Please note that all Special Requests are subject to availability and additional charges may apply. Decorated in an elegant style, this room has facilities for making tea and coffee and a flat-screen TV. Bathrobes can be provided on request. This room can accommodate a baby cot, free of charge. Rate: € 144.90 ... € 593.00; select dates below to get current rates. These elegant rooms feature a flat-screen TV and facilities for making tea and coffee. Bathrobes and slippers, as well as a hairdryer are included in the bathroom. A minibar with non-alcoholic drinks is also provided. Some of them have a view of the Eiffel Tower. A flat-screen TV is featured in these interconnecting rooms. Bathrobes and a hairdryer are included in the bathroom.